Nota Bene: The hotel in Milan where I was going to post this from yesterday had an internet failure, so this is late. 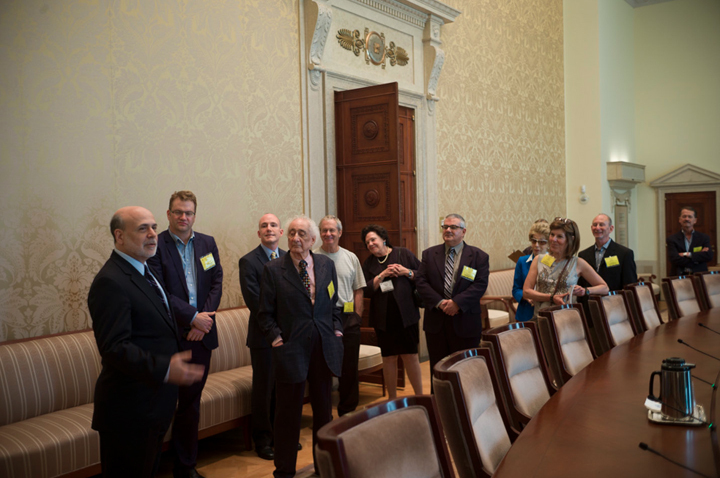 The fast trip to Washington brought me to the Philipp’s Collection to meet an interesting group of photography collectors who were thinking of donating works of mine to the museum in the Treasury Building. 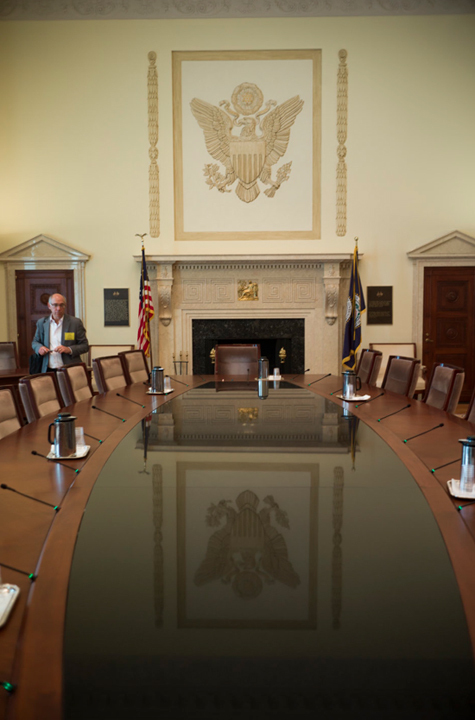 We then all went over to the Treasury where we hung out in the conference room where much of the nation’s financial decisions were made, and then met with Ben Bernanke who was gracious and appreciative of the positive spirit of all these collectors and their future gift to the museum. After lunch there I was back on a plane to Tuscany. A fast 24 hours that left me slightly ‘out of body’ but happy to be back in dear old worn and lovely Italy. 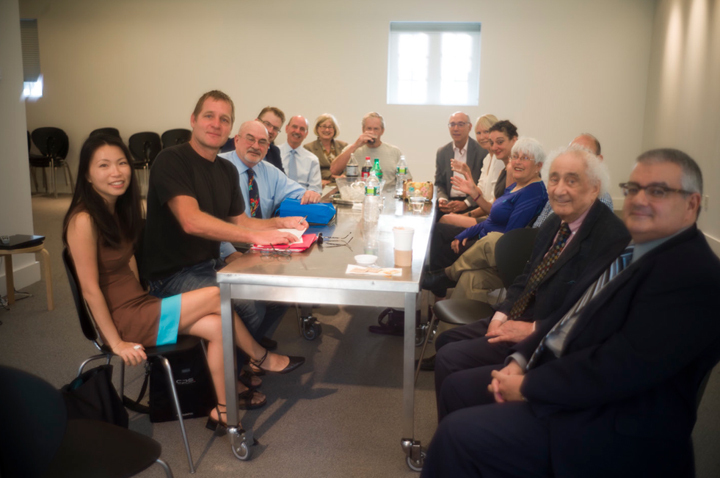 This entry was posted in Uncategorized and tagged Interior on May 17, 2015 by joelmeyerowitz2014. It’s a good thing if people want favors from you. Once shook hands with a president-to-be. It was Olafur Ragnar Grimsson who asked me for a favor. He was gathering votes for the election, but turned hastely away when noticing I was a foreigner. Reading your blog, I now promise that if he wants, he can have this image from higly pigmented quality.